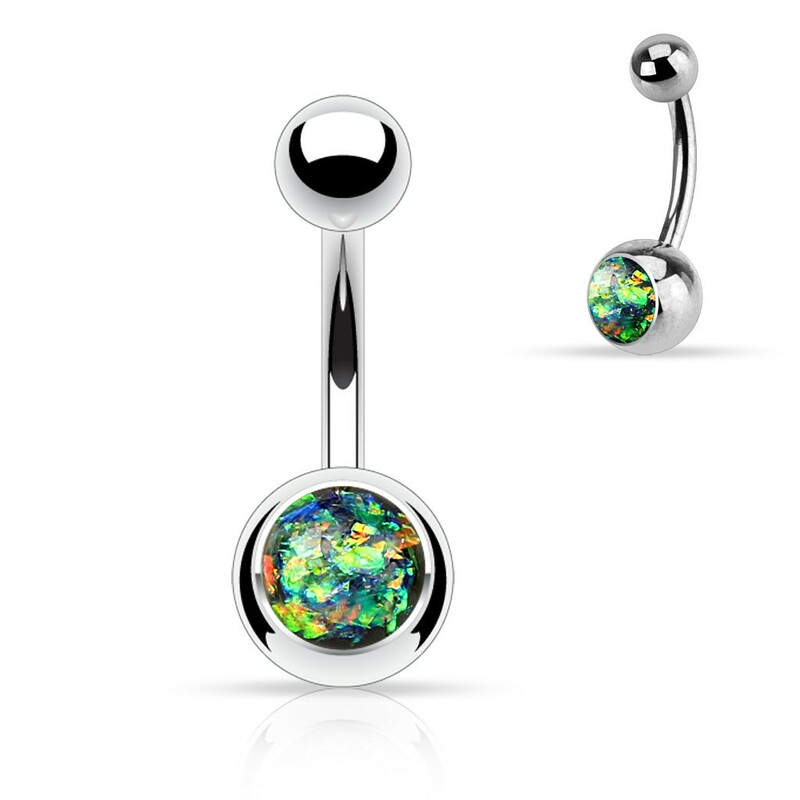 Opal is often found with regular jewellery, therefore, body jewellery couldn't let these gorgeous stones pass them by. 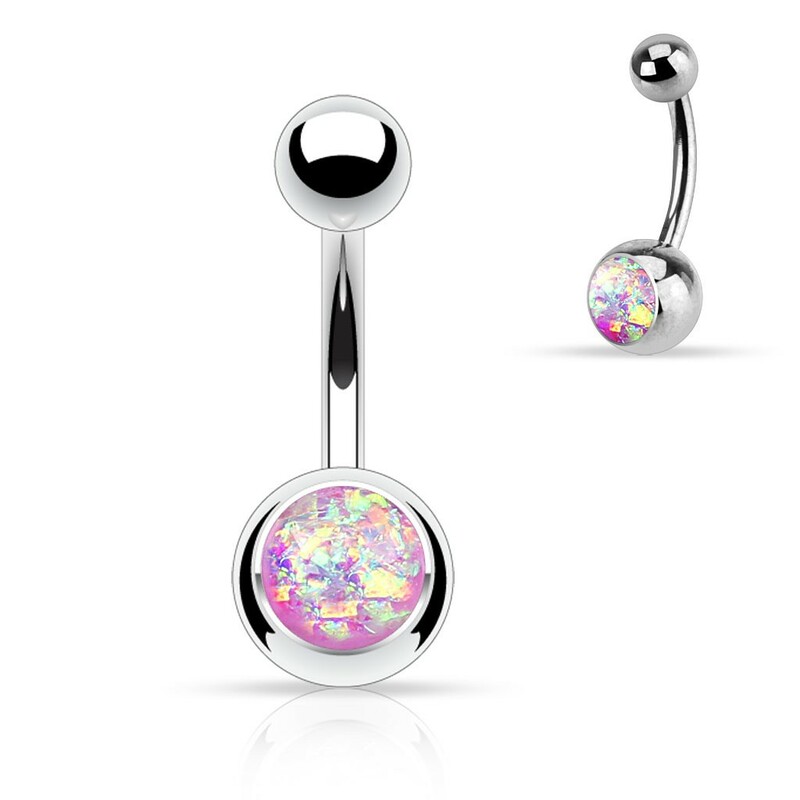 These belly rings are incredibly easy in design which reflects on the price. But not just the price, its simple design makes this belly ring also pretty durable. The Opal ball is very firmly enclosed in the lower ball. The Opal ball is made of imitation Opal. That consists of a type of resin which is enriched with glitter. The end result is a very affordable Opal stone that happens to be enriched with glitter, and therefore, a bit more striking. Do you prefer a belly ring where the Opal ball gets more attention? 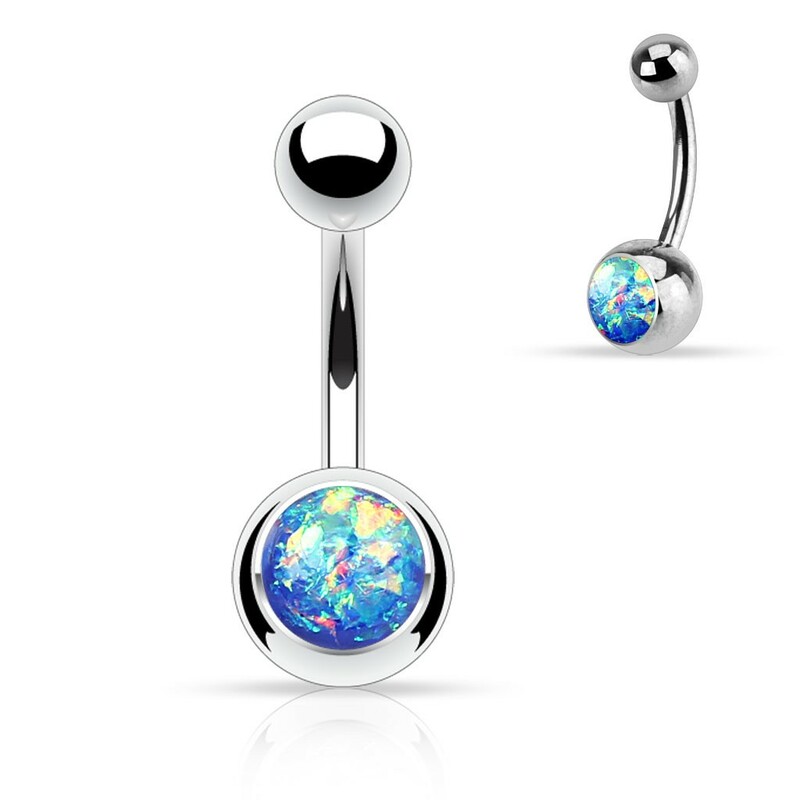 Perhaps that this belly ring with Opal ball is perfect for you.